The prime surviving suspect in the 2015 Islamic State attacks on Paris said he would answer no questions as his trial in Belgium over a shooting that preceded his arrest got under way in Brussels on Monday. Salah Abdeslam, 28, his long black hair and beard a stark contrast to the cropped, clean-shaven young man familiar across Europe from wanted posters during his four months on the run, was asked by the judge to rise and identify himself. Appearing in public for the first time since the November 2015 attacks and his arrest in Brussels four months later, he remained seated, flanked by two masked Belgian police officers. "I do not wish to answer questions," Abdeslam said. 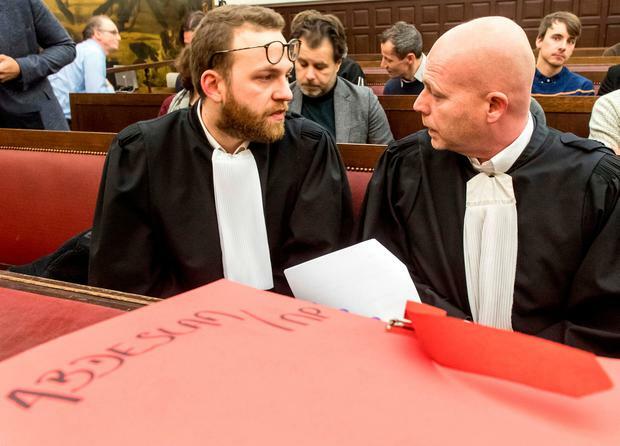 After a first session during which his alleged accomplice admitted to having fought for Islamic State in Syria and said that both accused were present during the March 2016 shootout with Brussels police, the judge again asked Abdeslam to speak. Citing his right to silence and declaring his Muslim faith, he accused the media of condemning him before his trial: "Judge me. Do as you want with me," he told the judge. "I put my trust in my Lord." "I remain silent. That is a right which I have," he said, adding: "My silence does not make me a criminal or guilty. "I am defending myself by remaining silent." He asked the prosecution to base itself on forensic evidence "and not swagger about to satisfy public opinion", adding: "Muslims are judged and treated in the worst kind of ways. They are judged without mercy. There is no presumption of innocence." That reluctance to engage with the court may prove a disappointment to Parisians who hoped that he might end more than two years of silence to give some indication of how and why the attacks which killed 130 people were organised. His trial in France is not expected until next year. He was not charged over the Islamic State attacks in Brussels four days after his arrest, though prosecutors say the suicide bombers who killed 32 people acted swiftly out of fear that Abdeslam might reveal plans for a new attack in France under interrogation. 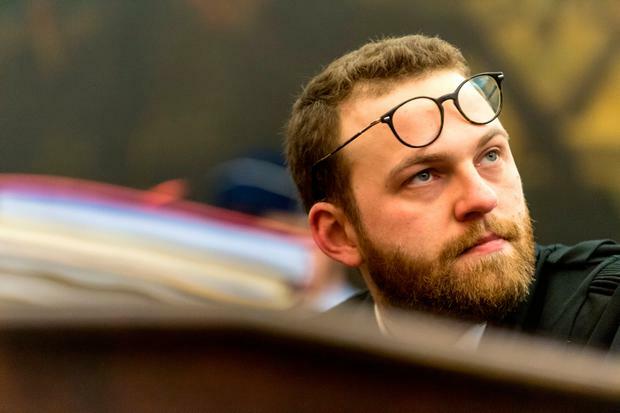 Among those attending the trial was Bob de Zwart, who survived the gun attack during a rock concert at Paris's Bataclan concert hall on Friday, Nov. 13, 2015. He told Reuters that he had come to Brussels because he wanted to see Abdeslam. He was, however, not surprised that the alleged lone survivor of the group had not broken his two-year silence. Abdeslam arrived under heavy guard from France, where he has been held under 24-hour suicide watch near Paris. He will spend the nights of the coming week of Belgian hearings in a high-security French prison just across the border. 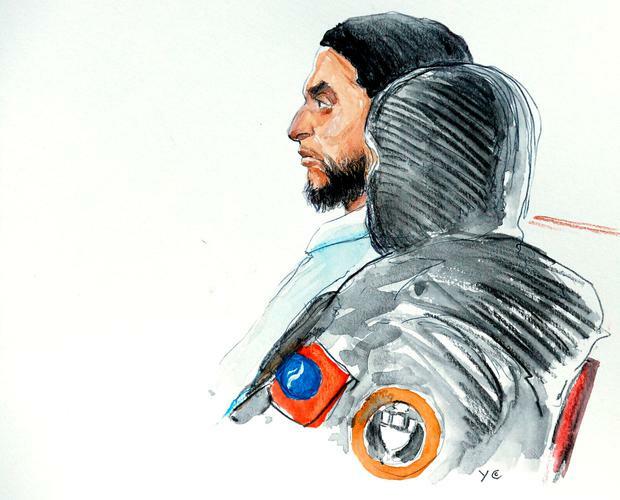 Co-accused Sofien Ayari, a 24-year-old Tunisian, told the court that he had been with Islamic State forces in Syria. He said he had been with Abdeslam at the site of the shootout, though only a third man, who was killed by police marksmen, had he said, fired on the police officers who raided their hideout. 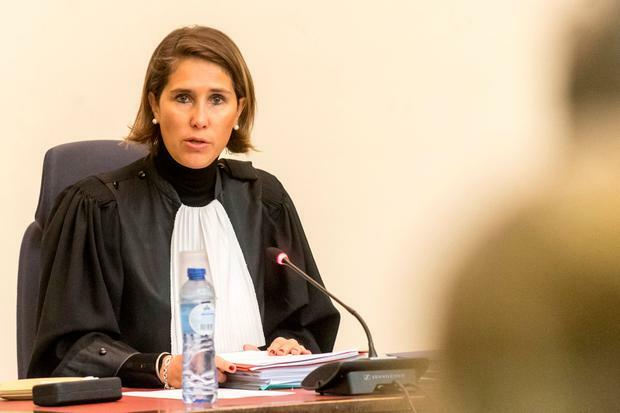 In the trial, which relates only to the incident on March 15, 2016, in the southern Brussels borough of Forest, Ayari and Abdeslam face up to 40 years in prison for attempted murder in the context of terrorism. Three days later, Abdeslam and Ayari were arrested in the western Brussels borough of Molenbeek, close to the former's family home. A French citizen, he was born and raised among the Belgian capital's large Moroccan immigrant community. Lawyers for Abdeslam accept that he was in Paris when gunmen and suicide bombers killed 130 at the Bataclan, near the national stadium and at cafes and restaurants. His elder brother, with whom he ran a bar in Brussels, was among those who blew himself up. Prosecutors believe the younger Abdeslam, whom they accuse of running logistics for the attack including ferrying fighters from Syria across Europe, would have met the same fate had his explosive vest not malfunctioned.